The Mid-Autumn Festival is on the 15th day of the eighth month of the year based on the Chinese lunar calendar. It started from the beginning of the Tang Dynasty and became as important as the Spring Festival in the Qing Dynasty. It has become a public holiday since 2008. There are many celebration activities. One of them is praying to the moon. Since the mid-autumn festival is in the middle of the month, the moon is full on this day, which represents the reunion. People would pray to the moon for the fortune and the health of family members. Many would also fly the sky lantern to touch up a bit on the view of the full moon. There are many shapes of the lantern, such as fruit, bird, fish to name but a few. 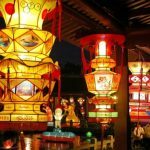 The scale of the lantern activity of the Mid-Autumn Festival is just a bit smaller than that of the Lantern Festival. 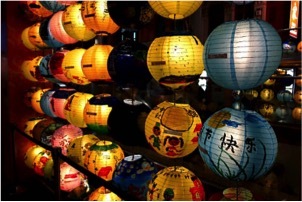 Another activity involves the lantern riddles; compared to the Lantern Festival, those who participate in the lantern riddles in the Mid-Autumn Festival are more of the young adults. There are also some special foods for this festival. Mooncake is the most popular among all. 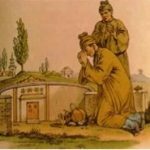 In the ancient China, mooncake was used as an offering to the goddess of the moon. It can date back to the period of Yin and Zhou (B.C 1600 – B.C. 256). 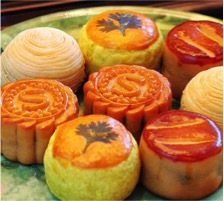 Over the centuries, eating the mooncake has become one of the folk customs for the Mid-Autumn Festival. There are, more than 20 kinds of mooncakes around the China with two general categories – the traditional and the modern one. There are different flavors, stuffing, and shells. For example, the shell of Cantonese mooncake is mainly made of the wheat and a few of other simple ingredients; however, the shell of the Shanxi-styled mooncake is made of more than 10 ingredients. Almost all foods could become the stuffing, including the ice cream, fruit, tea leaves, even the lily (the flower). It is noted that since the mooncake has a high level of sugar, calories, and cholesterol (especially for those whose stuffing is the yolk), the patient of diabetes or the obesity should not eat too many mooncakes. Although many minorities are also celebrating the Mid-Autumn Festival, there are many differences between the ways they celebrate, which can be seen from the mooncake. Even among the Han, people living in different provinces celebrate the Mid-Autumn Festival differently. Additionally, numerous poems have been made by poets over the past thousand years to celebrate this festival.